Tuxedo – A tuxedo is the most classic way to go and looks best at a formal evening wedding. A formal wedding may also be described as a black tie event and require men to come dressed in tuxedos. 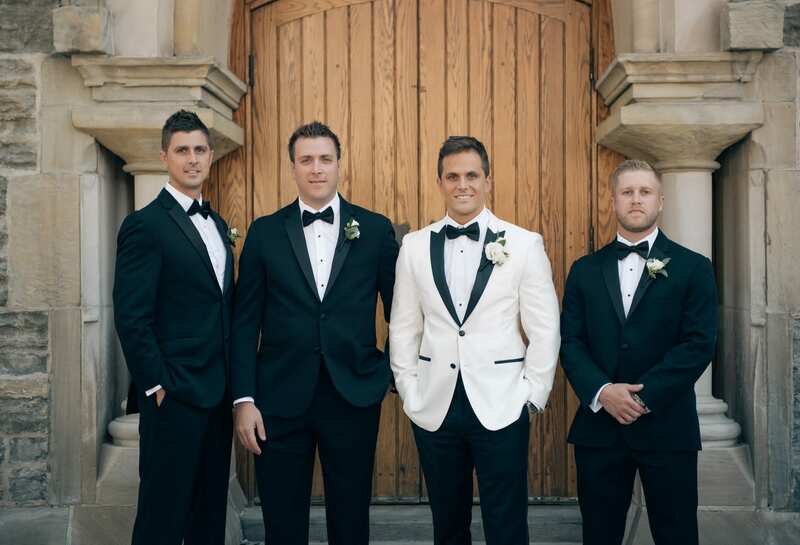 Though some might confuse tuxedos with suits, a tuxedo comes with a jacket, trousers with outside seam cover, waist cover (cummerbund or vest), white dress shirt with French cuffs, silk bow tie, and polished leather dress shoes. Suit – A suit is more casual, but still appropriate for a semiformal event. Depending on the season or time of day, suits in a variety of colors may be worn, including navy, black, gray or brown. Silk ties keep the look a little more formal, or a sophisticated print can be used during a semiformal wedding. ‘Semiformal’ simply means that you do not wear a tuxedo, but still dress up in a suit, dress shirt and tie. 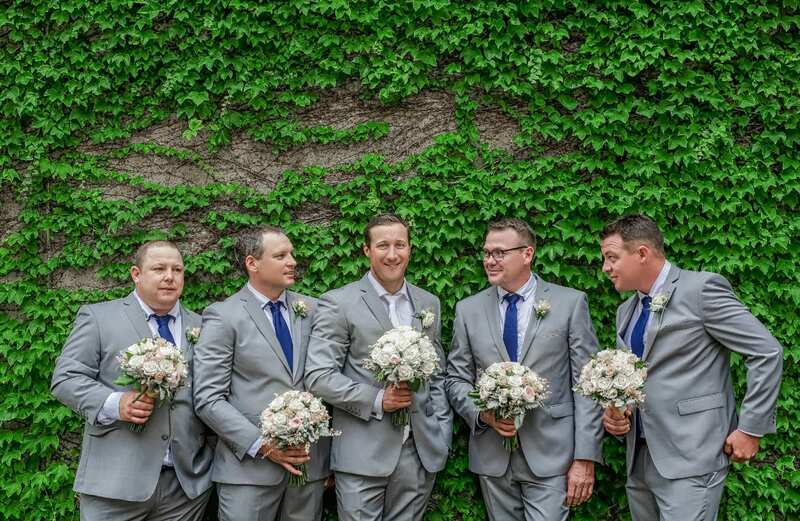 Depending on the wedding ambiance, formal or semiformal styles are ideal options. 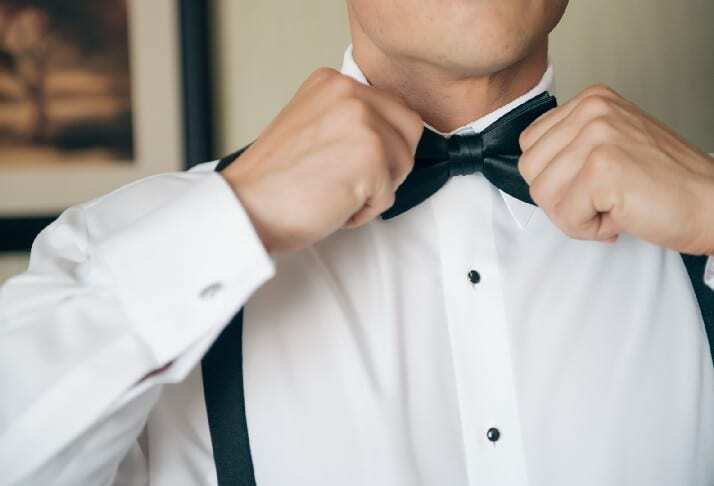 Keep the tuxedo or black tie to a nighttime wedding in a sophisticated venue and wear suits to keep the wedding classy, but slightly more casual.